Just as moonlight filters through a verdant forest’s tall branches to the foliage below, this palette’s deep, earthy tones are illuminated by paler shades. Freshness and light prevail in this calm and soothing atmosphere. And these are the original features of the building; they have been restored. As the weeds are uprooted from the cracks in the shifting post-industrial plane, our vantage point is obstructed by a corrugated skin. We can no longer see or touch the ruins of industry, but instead are presented with generated architectural propositions and images of simulated vegetation. You will enter an Oasis uses the language of advertising and design for luxury living, where the remnants of former industry have been deprived of their function. These relics are immortalised; reimagined through computer generated imagery and given a new domestic value, where the apparatus of production become subject to post-production. But, there are errors in these renders. 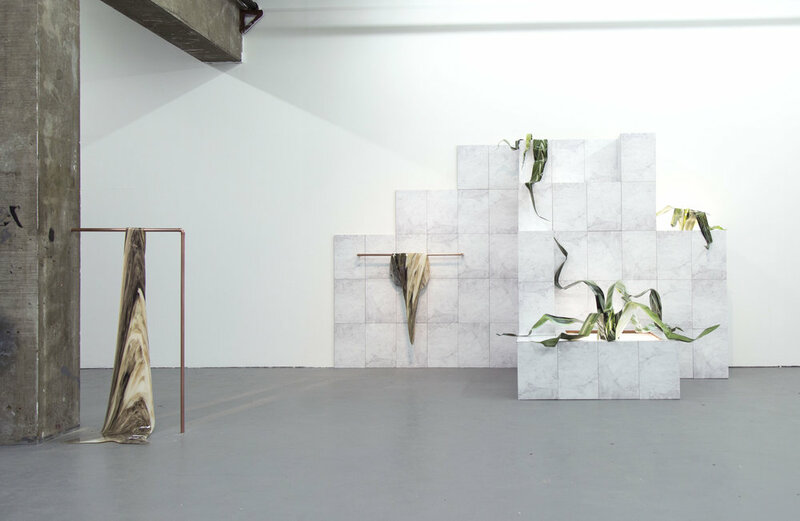 This installation borrows the indeterminate nature of the virtual, fusing digitally warped visions of opulent living with the discarded material that it conceals. Capital Growth is a monumental scale photograph. Amidst the slick colours typical of advertising and the dramatic composition of classical painting, a desirable female model and showroom environment share pictorial space with slag-heaps, corporate office plants and oozing digital texture maps. 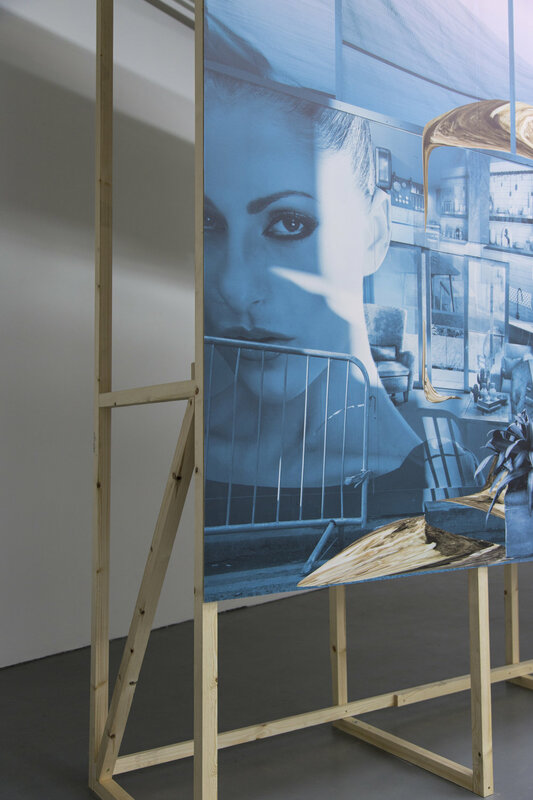 Felicity’s combination of the digitally-rendered aspirations of developer’s hoardings, with manipulated photographs of the declining industries they are replacing, presents a contradictory image of simultaneous promise and despair.